Dream big, set your goals, and work hard to get there. Any opportunity to bring this idea to kids is awesome. And I love that through Butterfly Kids Yoga, we can support and encourage this message. That is why this Sunday, April 8, we are giving Tweens & Teens an opportunity to practice these concepts, take a great yoga class, inspire creativity, and discover their potential. 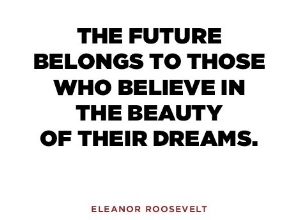 Our monthly Tween & Teen Workshop is all focused on dreaming big, working hard, and achieving goals. This week's schedule is below (abbreviated for spring break). Hope to see you in class or at an upcoming event soon! Ages 3-5 @ 10AM. Enroll here. Ages 5-12 @ 6PM. Enroll here. Adult class @ 6PM. Restorative Vinyasa with Ellen Baker. Enroll here. Teen class (ages 13-18) @ 5:30PM. Enroll here. * We will be building on our theme of dreaming big & goal setting in class. Tween & Teen Yoga Workshop @ 1:00PM. Enroll here or learn more. A big thank you everyone who came out for our first Butterfly Kids Yoga class at the beautiful ROC & Soul studio and boutique this weekend! Gorgeous space and great class. More to come with our friends at ROC & Soul in Webster, so stay tuned!